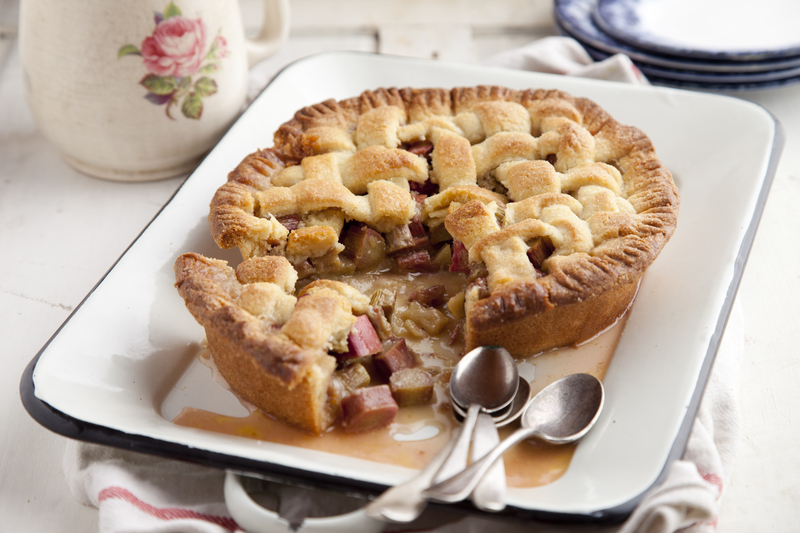 Delicious Rhubarb pie which is the perfect dessert for any Dinner meal! 1. In a bowl, cream the butter and icing sugar until light and fluffy. 2. Add in the ground almonds, egg and flour and bring the mixture together to form pastry dough. Wrap in cling film and allow to rest in the fridge for 10min. 3. Preheat oven to 180°C/350F/Gas Mark 4. 4. Divide the pastry in 3. Roll 2/3 of the pastry and line 8”/20cm a greased pie dish. Roll out the rest of sweet pastry. Using a pizza cutter or rolling pastry wheel, slice about twelve 0.5 cm strips. Place the pie shell and the strips of pastry to rest and chill in the fridge for 5 minutes or until needed. 5. Then, in a large mixing bowl, combine the rhubarb,vanilla seeds, sugar and water. Pour the rhubarb mixture into the pie shell. 6. Place over the pie the pastry strips, forming a lattice design. Brush lightly with egg wash and sprinkle with caster sugar. 7. Bake for about 45-55 minutes, or until the pie crust is lightly browned and the rhubarb mixture is bubbly. Remove the pie from the oven and allow to cool slightly (the rhubarb will thicken slightly as it cools) before serving. This pie can be eaten warm with some ice-cream or cold with a spoonful of whipped cream.